Eat healthily. This is crucial when you have diabetes because what you eat affects your blood sugar. No foods are strictly off-limits. Focus on eating only as much as your body needs. Get plenty of vegetables, fruits, and whole grains. Choose non-fat dairy and lean meats. Limit foods that are high in sugar and fat. Remember that carbohydrates turn into sugar, so watch your carb intake. Try to keep it about the same from meal to meal. This is even more important if you take insulin or drugs to control your blood sugars. Exercise. If you’re not active now, it’s time to start. You don’t have to join a gym and do cross-training. Just walk, ride a bike, or play active video games. Your goal should be 30 minutes of activity that makes you sweat and breathe a little harder most days of the week. An active lifestyle helps you control your diabetes by bringing down your blood sugar. It also lowers your chances of getting heart disease. Plus, it can help you lose extra pounds and ease stress. Get check-ups. See your doctor at least twice a year. Diabetes raises your odds of heart disease. So learn your numbers: cholesterol, blood pressure, and A1c (average blood sugar over 3 months). Get a full eye exam every year. Visit a foot doctor to check for problems like foot ulcers and nerve damage. Manage stress. When you’re stressed, your blood sugar levels go up. And when you’re anxious, you may not manage your diabetes well. You may forget to exercise, eat right, or take your medicines. Find ways to relieve stress — through deep breathing, yoga, or hobbies that relax you. Stop smoking. 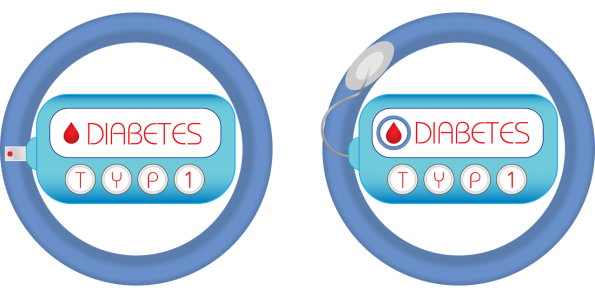 Diabetes makes you more likely to have health problems like heart disease, eye disease, stroke, kidney disease, blood vessel disease, nerve damage, and foot problems. If you smoke, your chance of getting these problems is even higher. Smoking also can make it harder to exercise. Talk with your doctor about ways to quit. Watch your alcohol. It may be easier to control your blood sugar if you don’t get too much beer, wine, and liquor. So if you choose to drink, don’t overdo it. The American Diabetes Association says that women who drink alcohol should have no more than one drink a day and men should have no more than two. Alcohol can make your blood sugar go too high or too low. Check your blood sugar before you drink, and take steps to avoid low blood sugars. If you use insulin or take drugs for your diabetes, eat when you’re drinking. Some drinks — like wine coolers — may be higher in carbs, so take this into account when you count carbs.